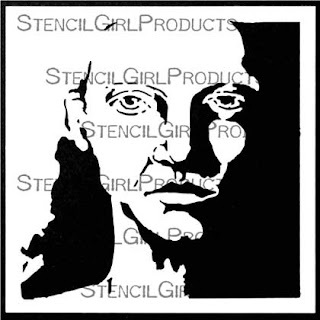 Pam Carriker designed her Face Value Stencils directly from her artwork. 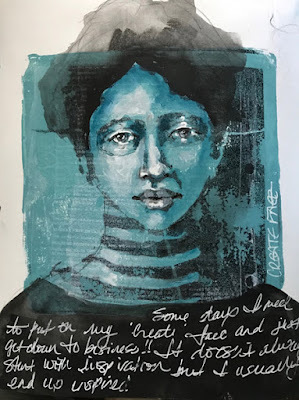 She created each one especially for art journaling with an air of mystery in the shadowed, dark areas. 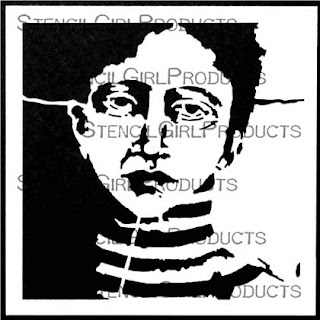 A bit of mime, a bit of beatnik, this Create Face Stencil is all Pam Carriker. 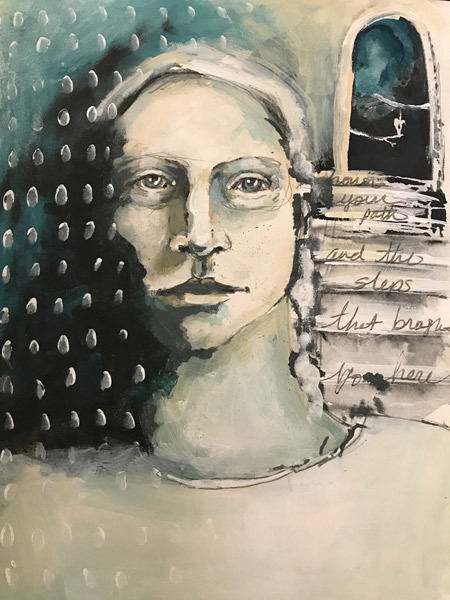 Imagine this face looking out for your art journal, mixed media, and paintings. 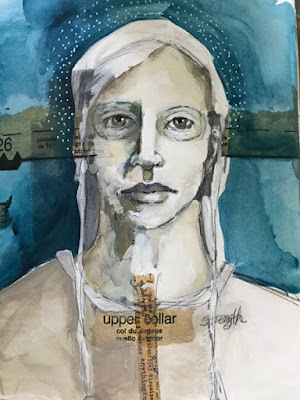 Unfailing integrity is depicted in Pam Carriker’s Honor Face Stencil. 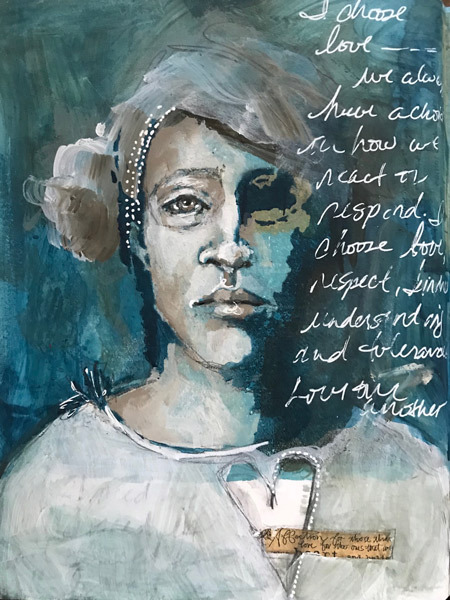 Show where you stand as you paint and journal. Joker, harlequin, or listener waiting for the punch line, the smile on this person’s face has reached their eyes so you know it is true. 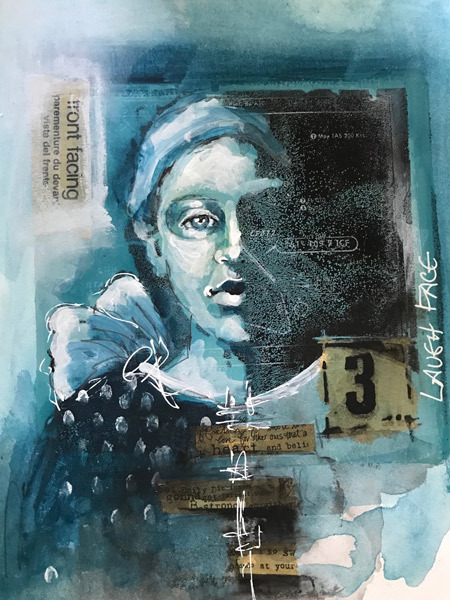 Use Pam Carriker’s Laugh Face stencil when you wish to add a bit of mirth and merriment any time you create art. Joseph Campbell said, “[Love is] the suffering that evokes the humanity of the human heart.” Pam Carriker’s Love Face Stencil highlights this beautiful truth. 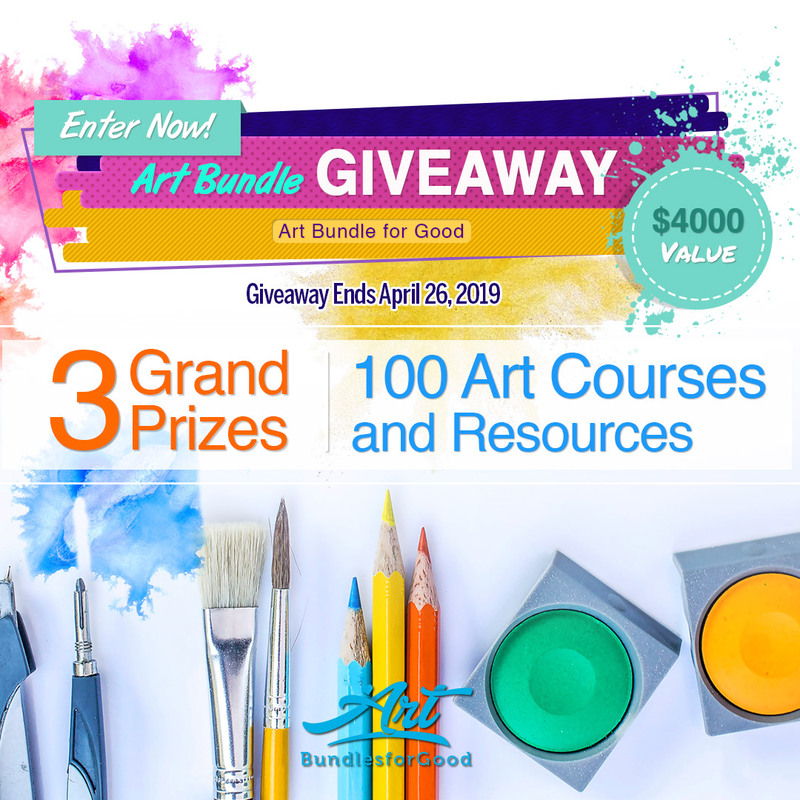 Perfect for your art journal but certainly useful in any of your creative paintings. 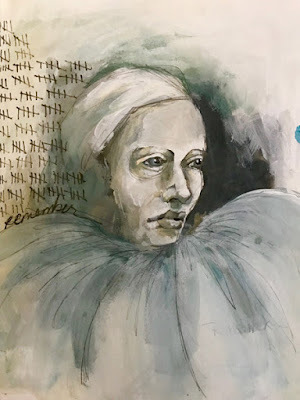 Gazing into the past happens in the mind and heart. 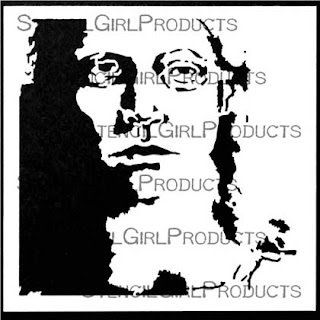 Pam Carriker’s Remember Face Stencil depicts a person in ¾ profile, hand on chin, pondering life. 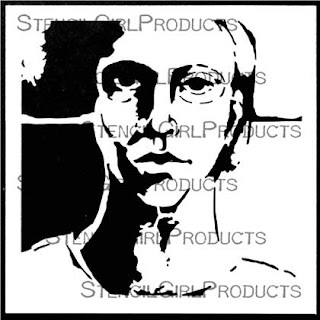 Use this stencil to showcase your thoughts when you paint or journal. 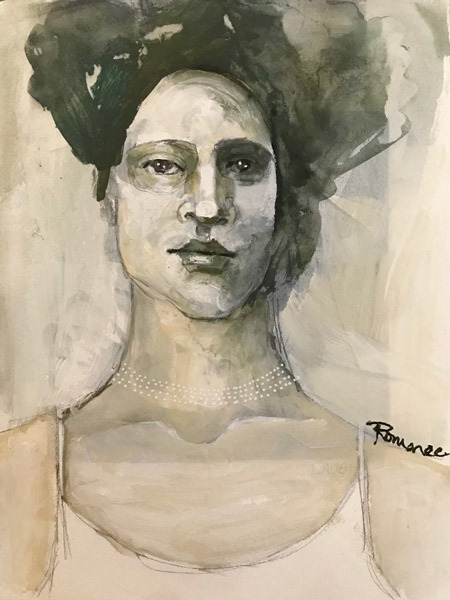 The come-hither look in the eyes and smile of Pam Carriker’s Romance Face Stencil is ready to grace the pages of your art journal or look adoringly from a painting. Pam Carriker’s Strength Face Stencil depicts a person who is standing their ground against the pressures of modern life. 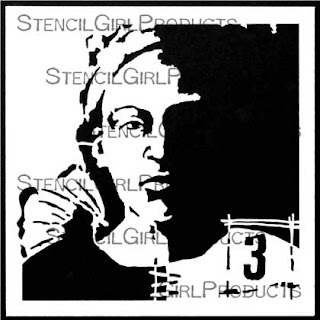 Art journaling is all about you and this stencil is a wonderful choice when you want to highlight your perseverance. 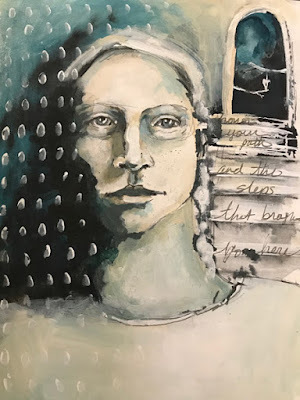 What facts, what reality will your art journal reveal when you paint with Pam Carriker’s Truth Face Stencil? 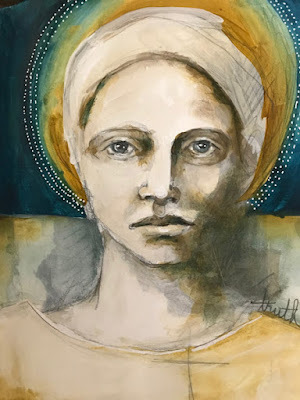 Will you share your truth or keep it private? 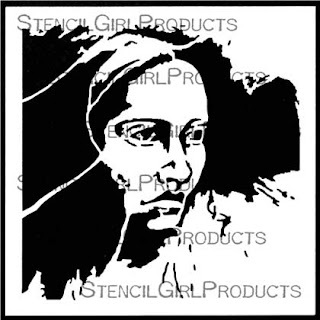 This stencil is a beautiful choice whether you wish to art journal or paint. 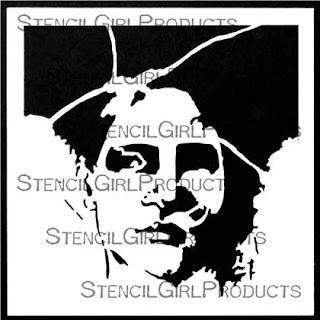 You can discover all of Pam Carriker’s stencils right HERE. What an incredible collection. I am so inspired! I am simply blown away! Thank you for sharing your talent with the world. 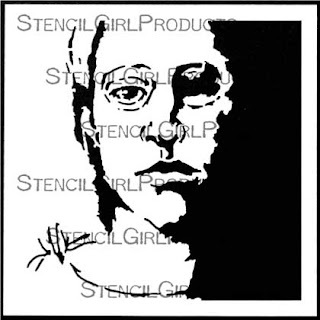 Every one of these stencils is simply amazing. 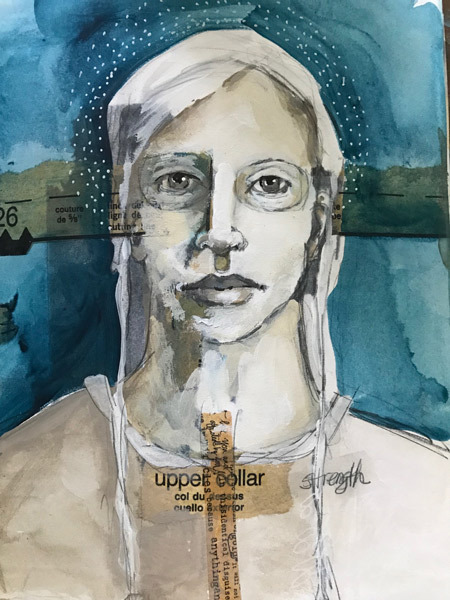 The shadows on the faces add such depth, which can translate into a beautifully emotive piece of art. Congratulations, Pam, on this stunning design work that you are sharing with others.